French cuisine is said to be the best in the world. Steeped in history and fascinating culture, the French consistently concoct some of the most succulent dishes around. Lucky for you, you don’t have to fly all the way to France to taste those flavors. Oklahoma may not be very close to Paris, but it’s home to some serious good French restaurants. Here are the 10 best in the state. La Baguette Bistro has been serving French bistro fare since the 1980s. It has a boucherie, a butcher shop, with some of the finest cuts of meat in the city, and its bakery features fresh-baked pastries and breads. But the French cuisine on the bistro menu will keep you coming back time and time again. La Baguette opened in 1984 and has been a Norman favorite for many years. The menu is a little more varied than just French food, but you can find quiche, croissant and fresh baked French bread any day of the week. Lee’s Sandwiches began as a Vietnamese-style deli, but they added European style sandwiches and croissants a few years ago. It’s a great place for sandwiches with a French flair. For more than 28 years, Metro Wine Bar & Bistro has been on the cutting edge of upscale cuisine in Oklahoma City. The wine list features over 400 different selections and the food is seasonal and fresh. If you want a truly upscale bistro experience, the Mantel is where it’s at. The food was honored by Cornell University as part of its Cross Country Gourmet Extravaganza, recreating the menu for diners in New York. Chef/Owner Kathy Bondy brings the classic flavors of France to Tulsa at the French Hen. It’s one of the top dining experiences in Tulsa, with seasonal and locally sourced ingredients, prepared from scratch to get to your table. Stonehorse Café serves classic French and American cuisine in an upscale setting at Utica Square. Interestingly, it serves an afternoon tea, if you’re into a proper British tea. 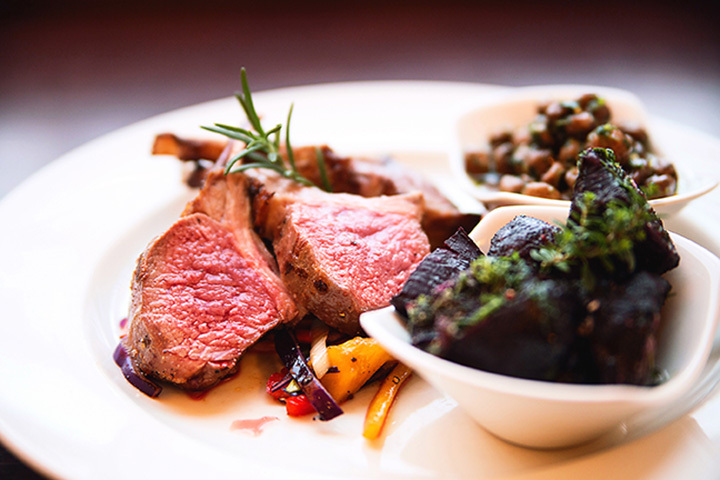 Bin 35 Bistro bills itself as an authentic, rustic interpretation of French/American cuisine. It’s a unique and charming dining experience on Brookside. Pretend you’re in a French country village enjoying cheese and charcuterie at a local café. This Nichols Hills restaurant is a delightful place for a lunch or dinner. This boutique baking company features French macarons on the menu every day. Technically, not a full restaurant, but one of the best places in the state for a classic French pastry.